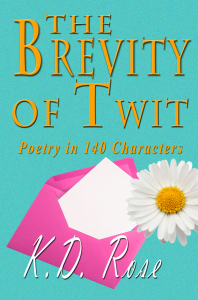 KD: New Five Star Review for The Brevity of Twit! I want to say, as an author, that I am breathing a sigh of relief to know that my humor actually does come across and can be enjoyed. You really never know until you hear back. 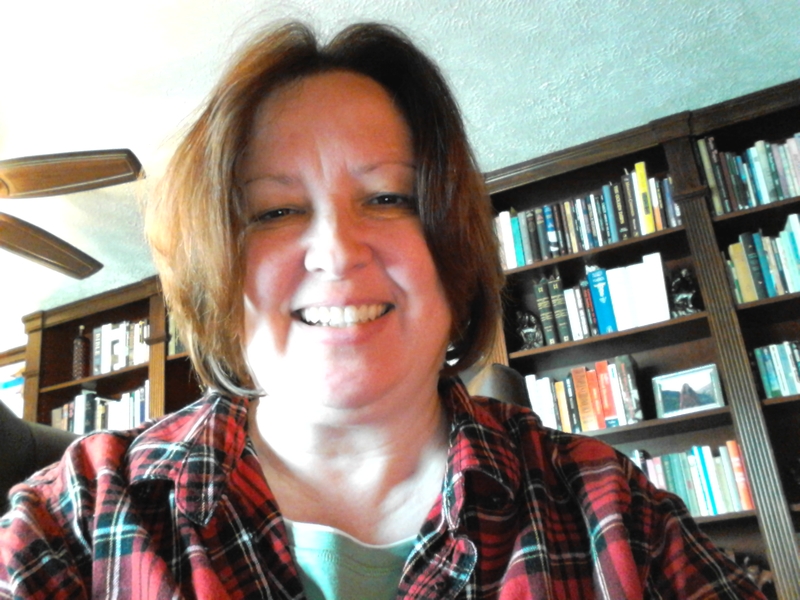 The review comes from Lauren and Livingabooklife.com. I have to admit, I’ve never really understood poetry. I’m not sure what it is about it…the overwhelming subjectivity, the rigidity of form, or the air of pretentiousness that frustrates me the most. To me, it feels like the modern art version in a literary format: it could mean literally anything or nothing, and my dog could probably do it. What a great little book of ideas and poetry and witty moments! 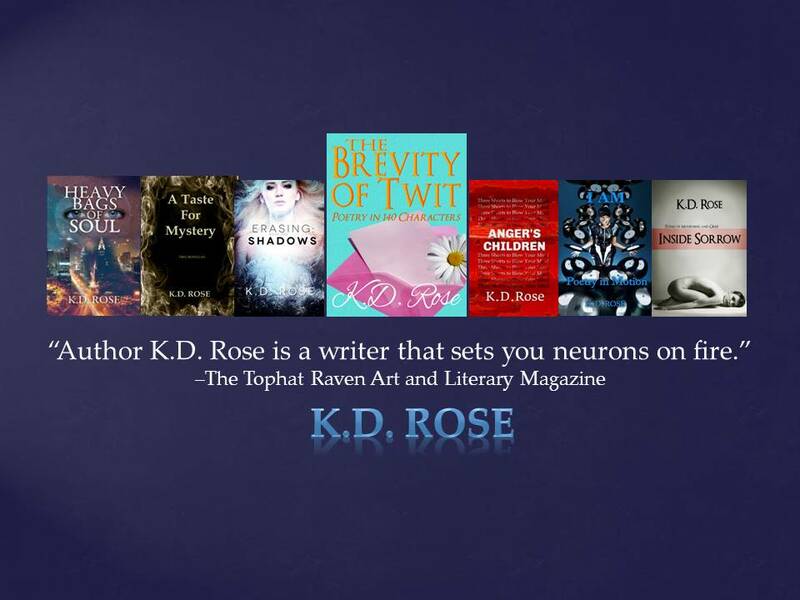 KD Rose uses twitter to extend and challenge the writing of poetry (and philosophy!). As a teacher, I’m going to offer this exercise to my students… write poetry in 140 characters. It works, and it both confronts and embraces our addiction to social media. My favorites were things like: “On the inside of us, that’s where I found the special sauce.” and especially the #writerhell pieces. (“In #writerhell, Syntax is something we grape refrigerator” Hahahaha!) A great read, big thoughts in little pieces. I’m on Miitya Epsilon’s Blog Today! Now is the time to order “The Brevity of Twit”. You’ll save $1.50 if you order before June 1. Don’t let the title fool you into thinking this is a mindless book, however. If you take your humor with insight, self-deprecation, pithiness, and more than a little geekdom, this might be just the lift for you. 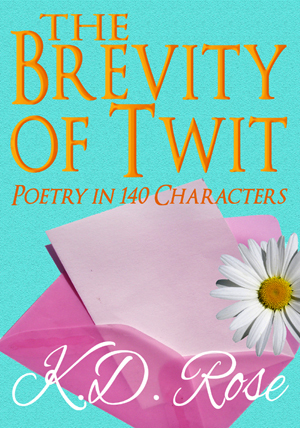 The Brevity of Twit is Now on Amazon!